Fun was had by all on Saturday 13th April 2019 at Daventry's first Classic Car Show. A free, community event organised by Daventry Town Council, supported and assisted by Daventry Mayor, Cllr Lynn Jones, to raise funds for the Mayor's chosen charities. 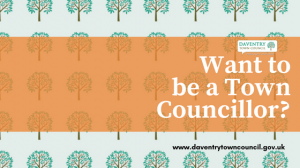 Residents of Daventry Town are invited to attend Daventry Town Council's Annual Town Assembly on Monday 15th April 2019. The meeting will take place at Daventry Community Centre at 7pm. Included on the Agenda will be the Annual Town Report which is overview of the work that DTC has carried out for the year 2018/2019 (copies of which will be available at the meeting or from the office). 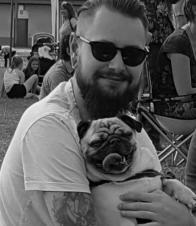 DTC catches up with one of the Town Council's youngest members on why he chose to become a Councillor and his dreams for the future of Daventry Town. Notice is hereby given that by reason of a resignation a vacancy has arisen which, in accordance with election rules, may be filled by co-option. 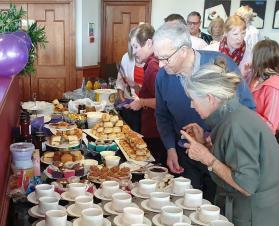 On Thursday 17th March 2019 Daventry Mayor, Cllr Lynn Jones, attended the Purple4Polio Tea Party hosted by Danetre Rotary Club. 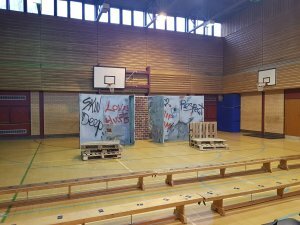 On Tuesday 12th March 2019, the Solomon Theatre Company visited students at The Parker E-Act Academy in Daventry as part of Daventry Fire Station and Daventry Town Council's partnership working to enhance youth engagement. 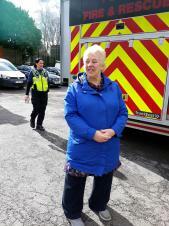 On Thursday 14th March 2019, Daventry Mayor, Cllr Lynn Jones, was invited to Daventry Fire Station, with other key members of the community, for a demonstration of fire equipment as well as an update on the part that the Fire Station plays in the Town, County and indeed, Country. 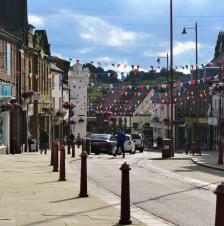 In anticipation of the changes in local government for Northamptonshire, Daventry Town Council is seeking to invest in retaining key assets and services, resulting in an increase of 32.9% of the town council's part of the council tax, which (based on a band D property) is only £0.31p per week. Where will this additional £0.31p be spent? 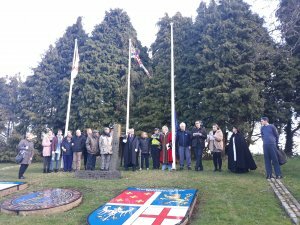 On Monday 11th March 2019, Cllr Lynn Jones, Mayor of Daventry and Chair of Council, was joined at the Twinning Area in Daventry by fellow Town Councillors, District Councillors, Cadets, and members of the public, in order to celebrate Commonwealth Day by raising the Commonwealth Flag. 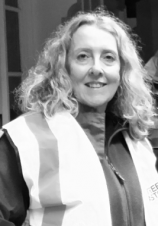 An interview with the Town Council's very own Lynne Taylor. XHTML 1.0 validated. WCAG compliant. Page generated in 0.1213 seconds.